November is the time of year when with the oranges from October come together with the more warmer and familiar colors from autumn like golden yellows, soft burnished browns and plums. 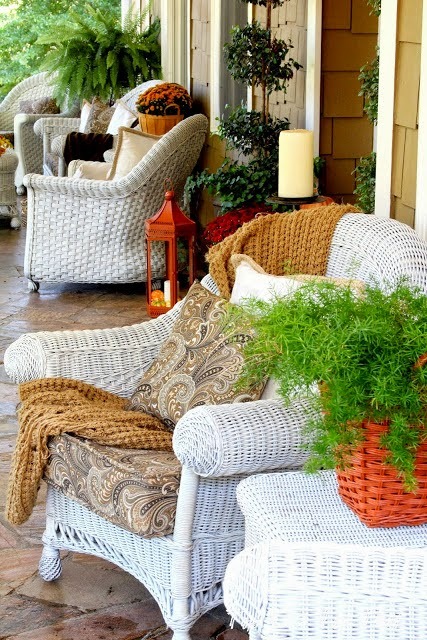 Your porch is that welcoming first step your guests see before they enter your front door. Having a welcome mat is fine, but it does not say WELCOME like a basket or two of golden yellow Mum's or a fall wreath hanging by your entry. 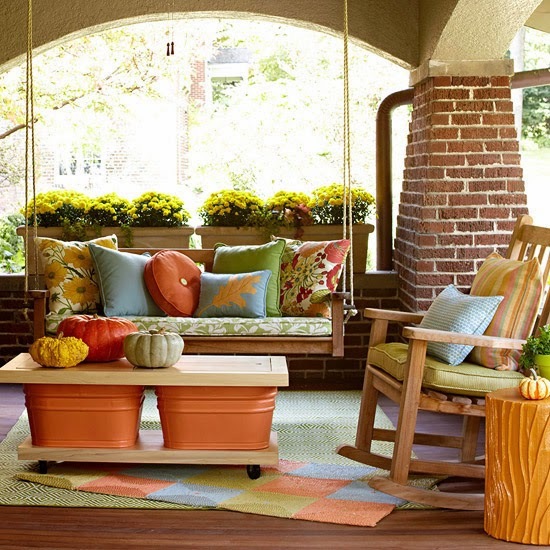 How about a porch swing adorned with cozy pillows in plums and a place to put your feet up? 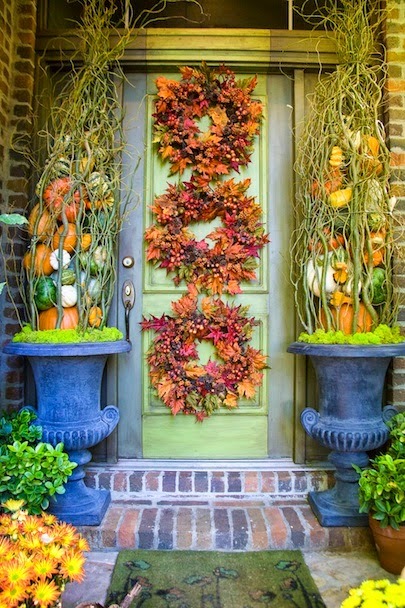 Decorating your porch does not have to be an ordeal, but can be as simple as adding a wagon filled with left over Halloween pumpkins and gourds. I found seven wonderful ideas that may inspire you to add just a little or a lot of that fall feeling we are feeling in the air this month. I love the three wreaths! Have a hook and no plant? 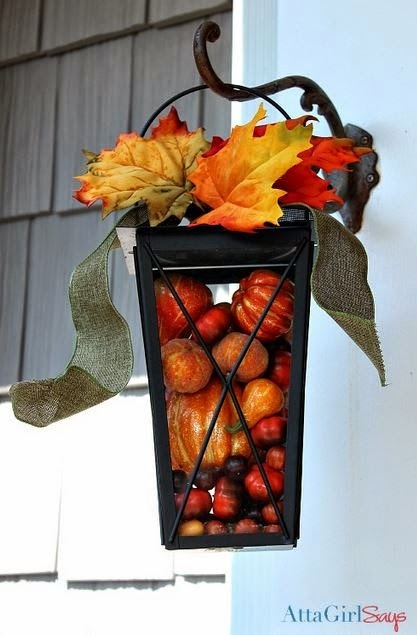 add a lantern and fill it with fall colors. 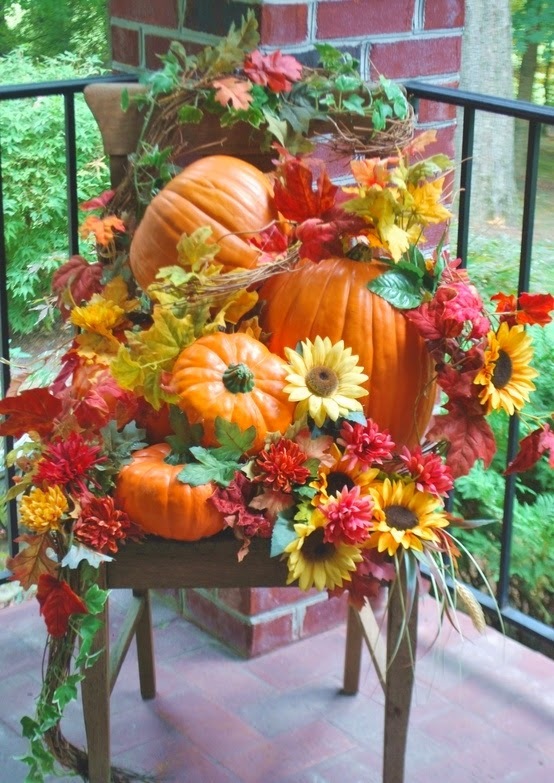 1 Chair + left over Halloween pumpkins + fall floral pics = Fall-Fabulous! Punches of Orange from the Coast. White wicker accented with a caramel throw and paisley cushions. 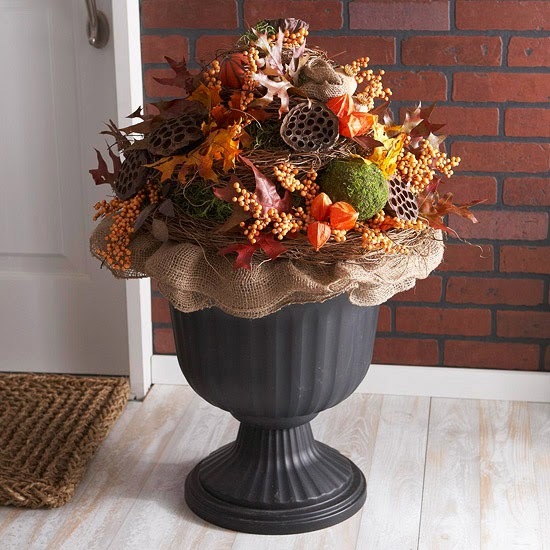 Empty urn on your front porch? Fill it with FALL color. For those with a large porch. 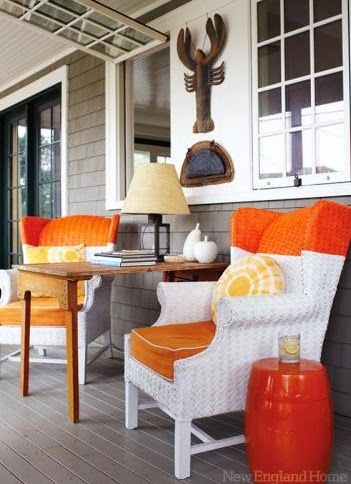 Swing, rocking chair and pillows. What more could you ask for?